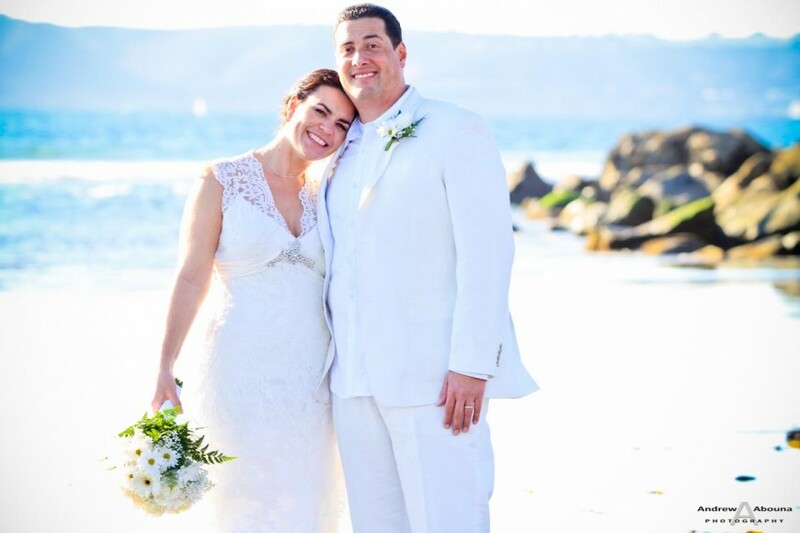 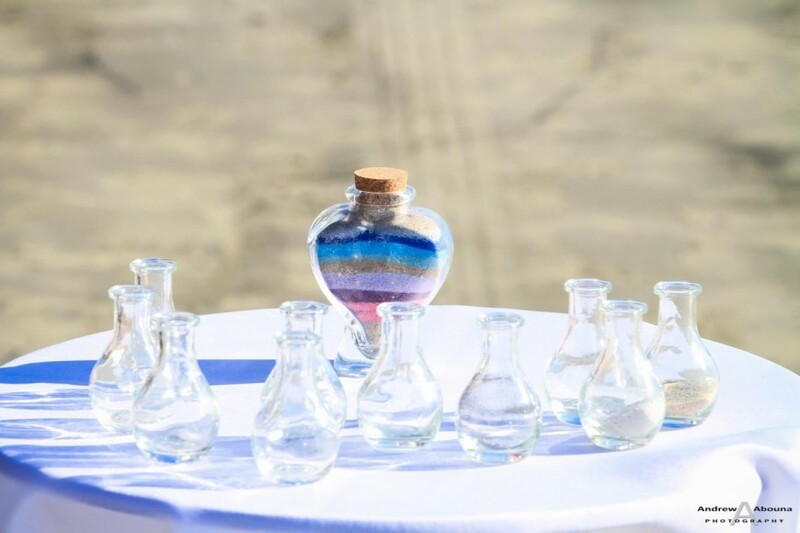 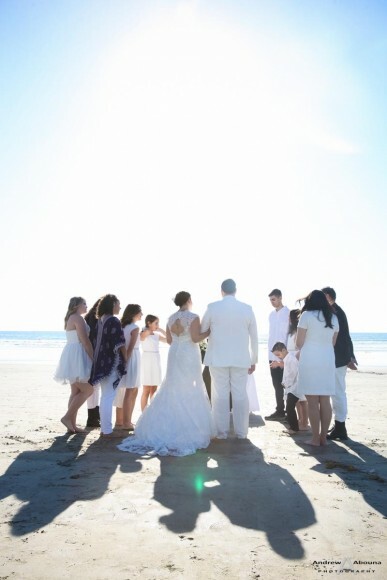 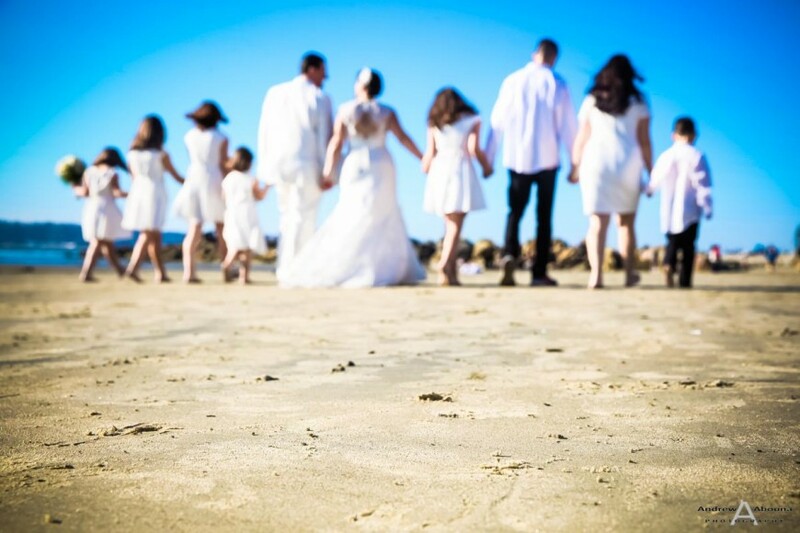 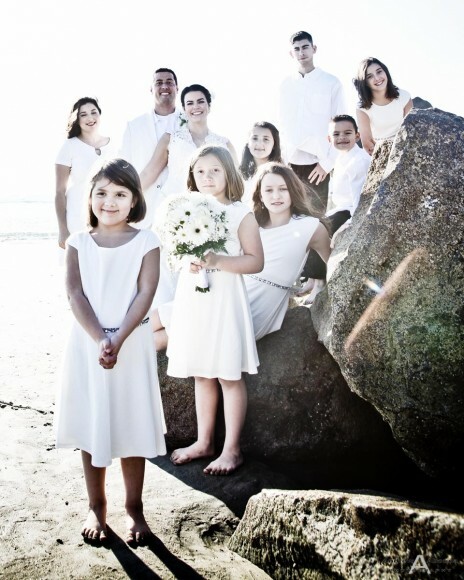 Debra and Aldrick’s wedding ceremony, officiated by Reverend Cathy Glenn of Ever After Weddings, was beautiful not only for the couple, but also because their children who were a key part of this Coronado Beach Wedding. 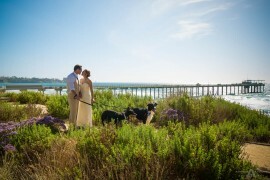 The day itself was lovely, in typical Southern California style, with sunny blue skies and gentle waves along the shore of the beach. 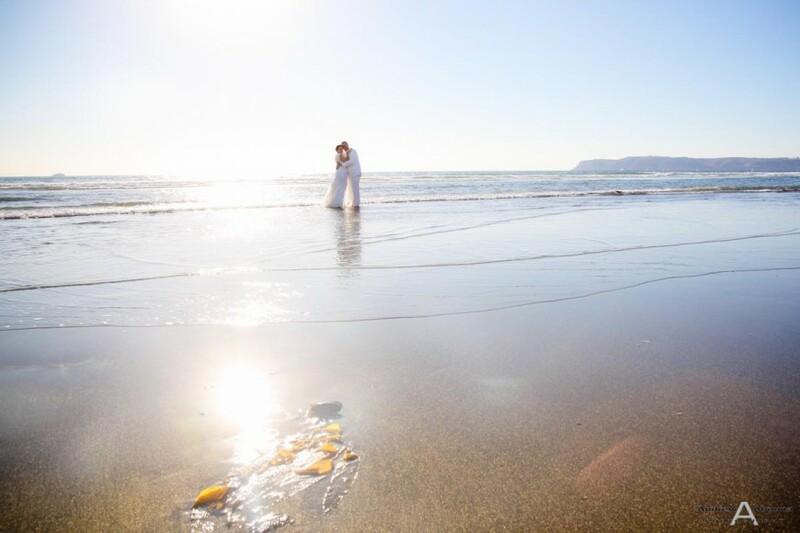 Just a short dive over the bay from San Diego, Coronado beach weddings are always delightful to photograph, and you can see why in this collection of some of my San Diego wedding photographer favorite shots from Debra and Aldrick’s wedding. 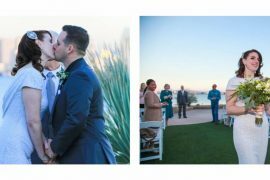 I’ve selected a few shots from before, during, and after the wedding ceremony, but the theme is the same: fun, happy wedding photos that we created together with the entire family enjoying all the moments of the wedding. 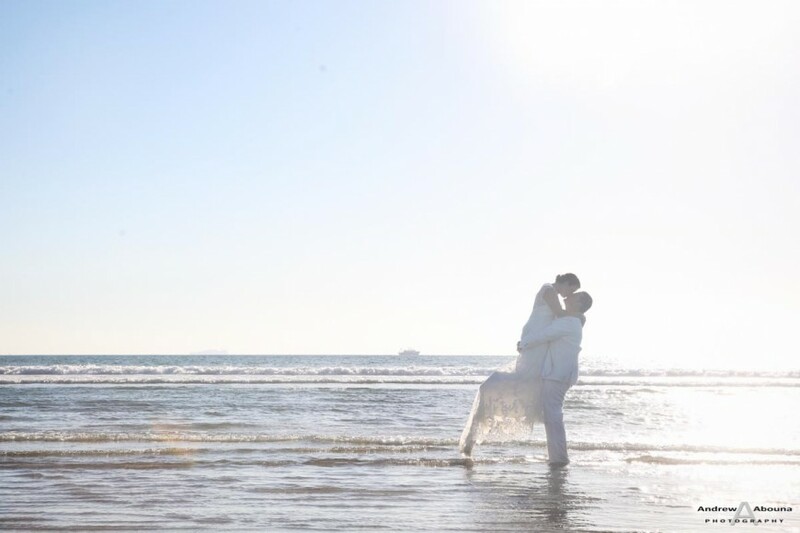 And you’ll see there’s a nice selection of portraits of the couple and their family, since I always find that weddings are such an ideal time to create family portraits as well, and this was very true with Debra and Aldrick’s Coronado beach wedding. 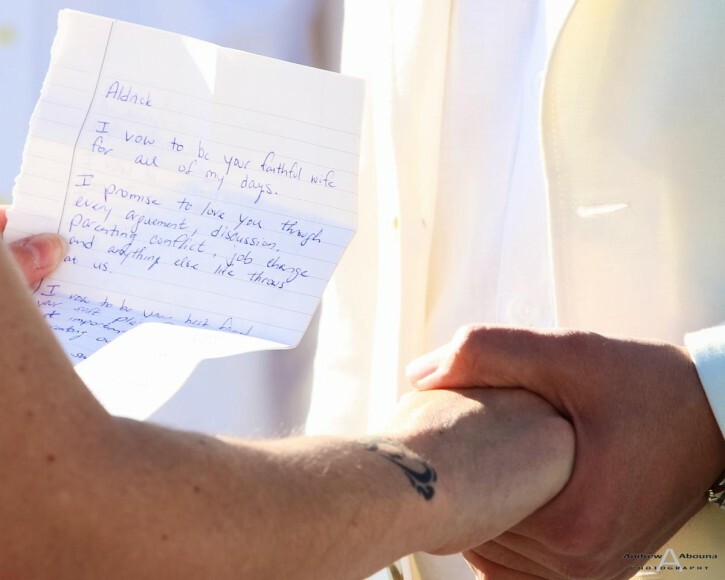 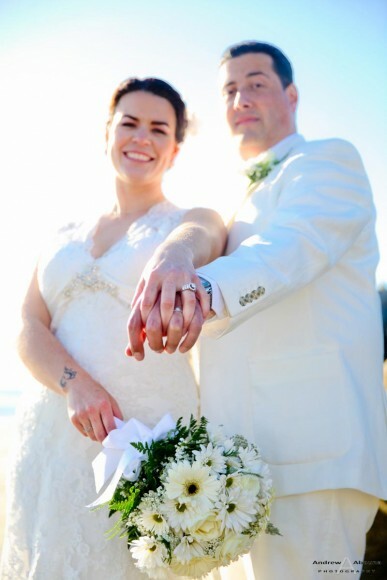 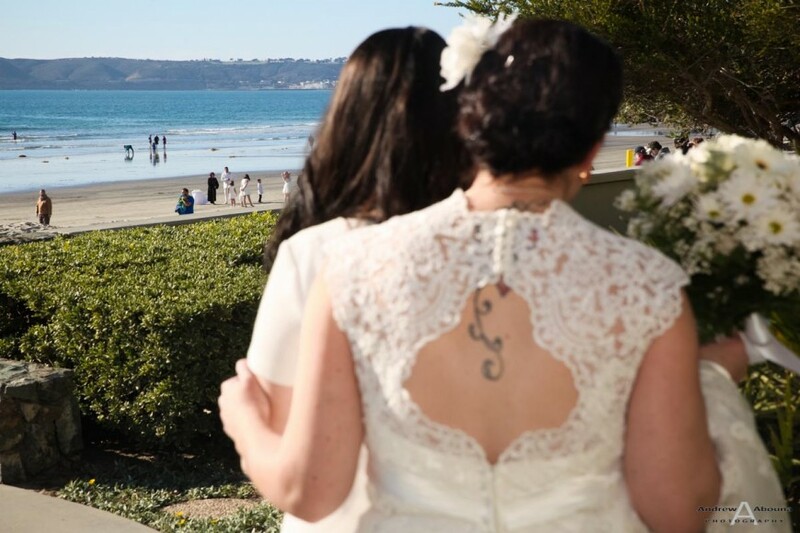 Shown in these highlight photos of the couple’s Coronado beach wedding ceremony, is a nice perspective as we look over Debra’s shoulder towards the beach, just before she walks up to Aldrick and their family waiting for her. 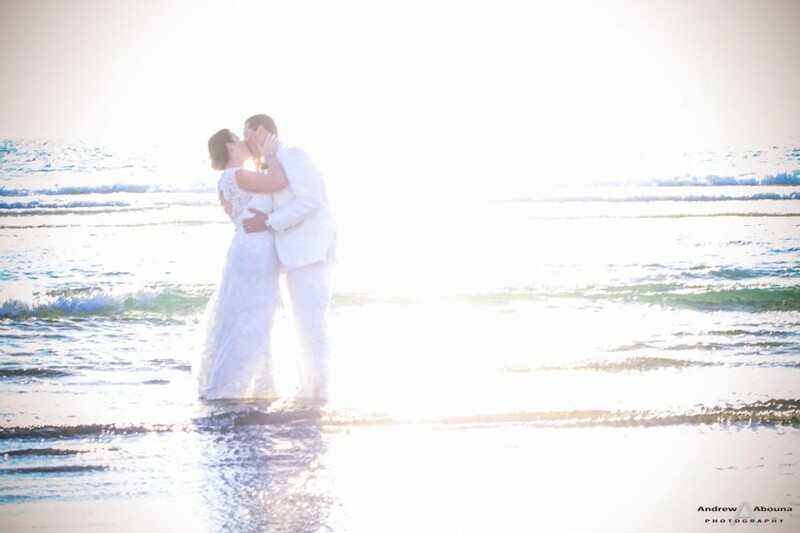 In addition there’s a nice bright, sun-lit shot of the couple and their family gathered for the wedding, since I always love to use the in some wedding photos. 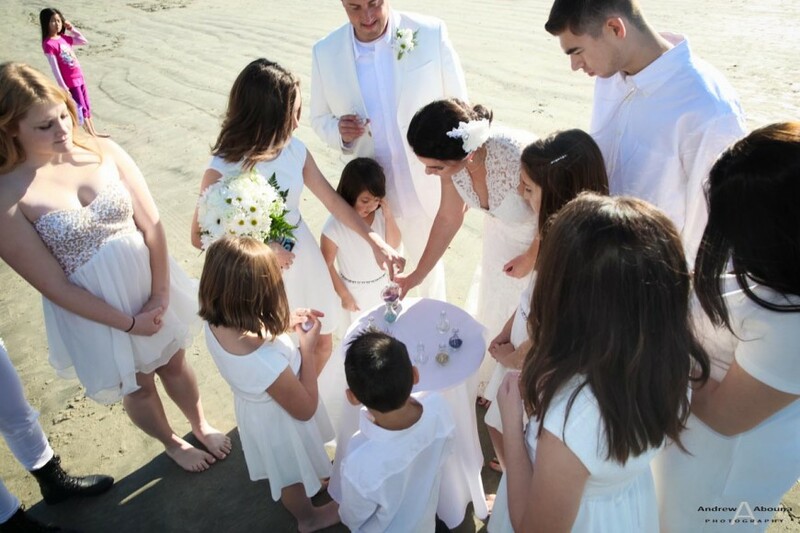 Also, you’ll see some detail shots of the couple and their family engaged in their sand ceremony. 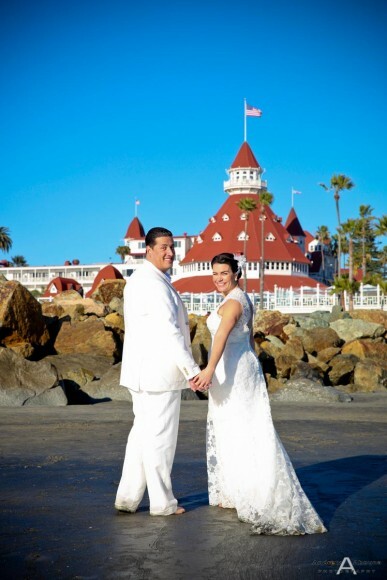 Togetherwe created a fun mix of photos along the wide sandy shore, with large rocks and the beautiful Hotel del Coronado in the background, and even some wonderful photos of the couple out in the water. 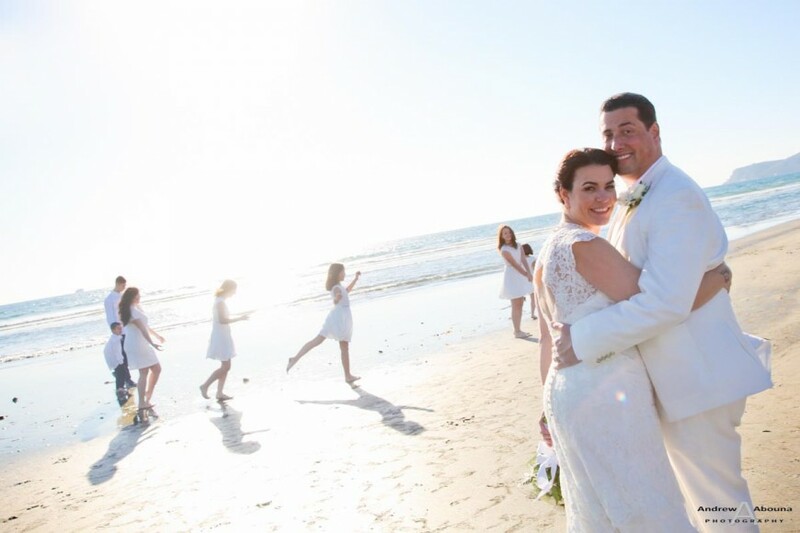 There’s just never a shortage of lovely vantage points when photographing Coronado beach weddings like this one for Debra and Aldrick. 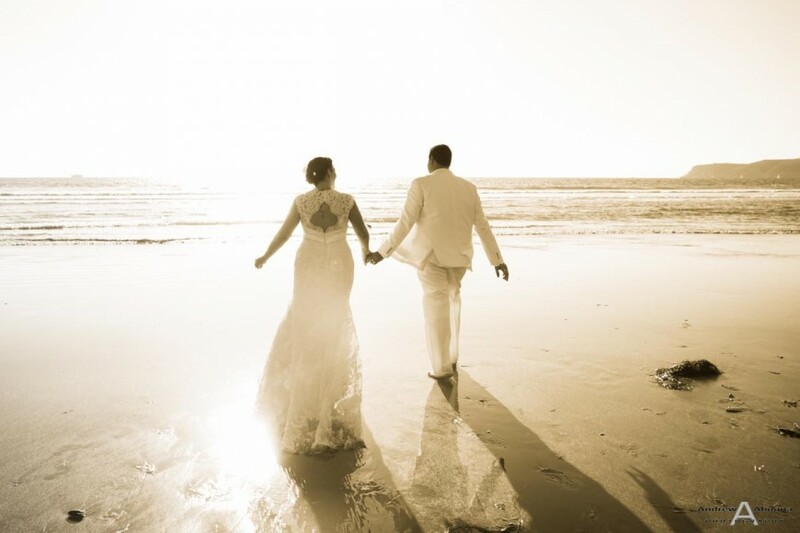 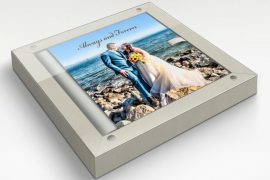 To see the complete collection of the couple’s wedding photos, please visit my San Diego Wedding Photographer Client Galleries (password required). 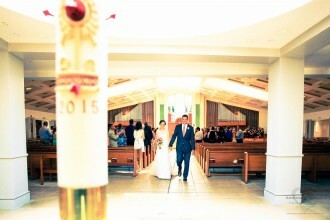 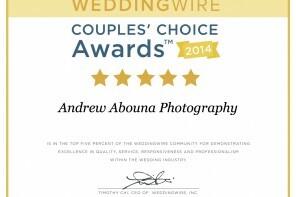 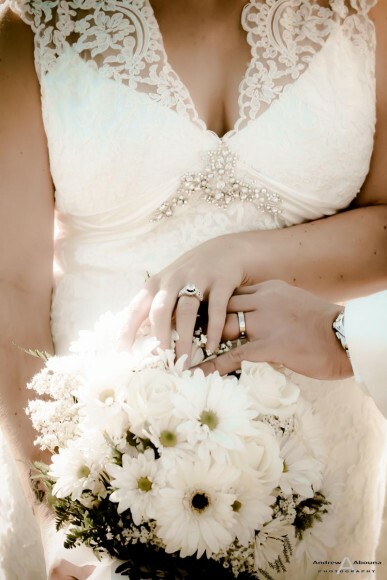 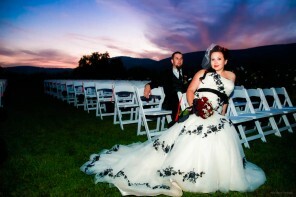 And for more information about having me create your own collection of wedding photography, please contact me.